First, those Listener Favorites, which included six (count ’em!) 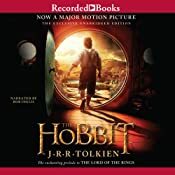 sf/f titles: The Hobbit, Cold Days: The Dresden Files, Book 14, Shadow of Night, Zombie Fallout 5: Alive in a Dead World, The Twelve: A Novel: The Passage Trilogy, Book 2, and Monster Hunter Legion: Monster Hunter, Book 4. The new Completed Series category includes sf/f series with seven of its eight picks (the outsider is Lee Child’s Jack Reacher series): The Lord of the Rings, Beautiful Creatures, Chronicles of Amber, The Morningstar Strain, Hush, Hush, Matched, and (perhaps a bit of a cheat, as the final book arrives early January) The Wheel of Time. 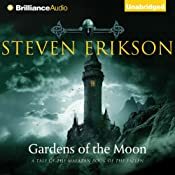 The Fantasy list is topped by Shadow of Night by Deborah Harkness, and includes as runners-up: Monster Hunter Legion: Monster Hunter, Book 4, Nine Princes in Amber: The Chronicles of Amber, Book 1, Iron Gray Sea: Destroyermen, Book 7, and Gardens of the Moon: The Malazan Book of the Fallen, Book 1. 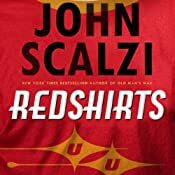 Audible’s Science Fiction list is topped by 14 by Peter Clines, and includes as runners-up: Redshirts: A Novel with Three Codas, Zombie Fallout: Zombie Fallout, Book 1, Year Zero: A Novel, and Battle Station: Star Force, Book 5. 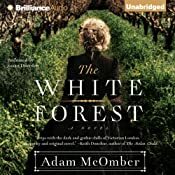 Jess’ Editor Picks adds: Adam McOmber’s “subtly dark and otherworldly debut” The White Forest. While December 2012 is still in its infancy, there’s already a long (and growing) list of year’s best book lists. Slate’s Dan Kois picks his favorite fiction and non-fiction of 2012, including At the Mouth of the River of Bees by Kij Johnson, Shine Shine Shine by Lydia Netzer, Son by Lois Lowry, and Your House Is on Fire, Your Children All Gone by Stefan Kiesbye. Meanwhile, the Slate Book Review’s top 10 list includes The Unreal and the Real by Ursula K. Le Guin, and Slate’s staff’s picks include The Last Policeman, by Ben H. Winters, and Alif the Unseen, by G. Willow Wilson. 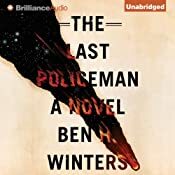 The NY Times list of 100 notable books includes several sf/f titles this year: ALIF THE UNSEEN by G. Willow Wilson, ARCADIA by Lauren Groff, CITY OF BOHANE by Kevin Barry, THE DEVIL IN SILVER by Victor LaValle, GODS WITHOUT MEN by Hari Kunzru, PURE by Julianna Baggott, and SHINE SHINE SHINE By Lydia Netzer. Kirkus Reviews picked 12 science fiction and fantasy titles for its Best Fiction of 2012 listings, and their top 25 list of all fiction includes THE INVESTIGATION by Philippe Claudel (Author) and John Cullen (Translator), THE AGE OF MIRACLES by Karen Thompson Walker, and ARCADIA by Lauren Groff (Author), and their list of top thrillers includes the magnetic pole-reversing THE BROKEN ONES By Stephen M. Irwin. Publishers Weekly unveiled their list, which included sf/f picks in their top 10 (Victor LaValle’s The Devil in Silver), fiction (The Age of Miracles and The Dog Stars), and children’s fiction (among several others, Son and The Diviners) lists, as well as a dedicated sf/f/h list: The Troupe by Robert Jackson Bennett, The Killing Moon by N.K. Jemisin, At the Mouth of the River of Bees: Stories by Kij Johnson, The Games by Ted Kosmatka, Wonders of the Invisible World by Patricia A. McKillip, The Shape of Desire by Sharon Shinn, and The Weird edited by Ann and Jeff VanderMeer. 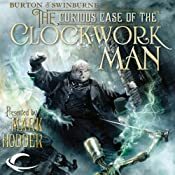 Amazon’s editorial team picked their top 10 in sf/f: The Twelve (Book Two of The Passage Trilogy): A Novel by Justin Cronin, Shadow of Night: A Novel (All Souls Trilogy) by Deborah E. Harkness, The Wind Through the Keyhole: A Dark Tower Novel by Stephen King, Redshirts: A Novel with Three Codas by John Scalzi, The Long Earth by Terry Pratchett and Stephen Baxter, The Mongoliad: Book One (The Foreworld Saga) by Neal Stephenson, Erik Bear, Greg Bear and Joseph Brassey, Year Zero: A Novel by Robert H. Reid, Railsea by China Miéville, Seed by Ania Ahlborn, and The Weird: A Compendium of Strange and Dark Stories edited by Jeff VanderMeer and Ann VanderMeer. Other lists also included well-received sf/f titles, including their Children’s: Middle Grade list (The Girl Who Fell Beneath Fairyland and Led the Revels There by Catherynne M. Valente), Romance (Gunmetal Magic by Ilona Andrews), and Teens (among several others, The Kill Order by James Dashner, Days of Blood & Starlight by Laini Taylor, Cinder by Marissa Meyer, Pandemonium by Lauren Oliver, Every Day by David Levithan, and Shadow and Bone by Leigh Bardugo). 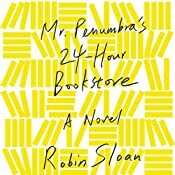 Their Top 100 Kindle Books added: Mr. Penumbra’s 24-Hour Bookstore: A Novel by Robin Sloan, The Dog Stars by Peter Heller, The Snow Child: A Novel by Eowyn Ivey, The Age of Miracles: A Novel, The Last Policeman: A Novel by Ben H. Winters, The Song of Achilles: A Novel by Madeline Miller, and Shine Shine Shine by Lydia Netzer. Update 1: TIME Magazine’s list just came out, and in their top 10 in fiction was The Girl Who Fell Beneath Fairyland and Led the Revels There by Catherynne Valente. 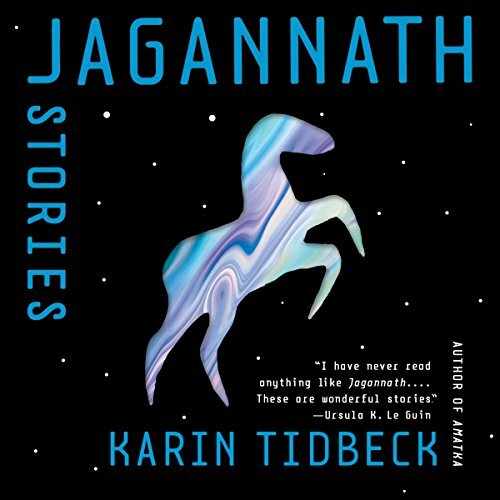 Update 2: The Independent (UK)’s sf/f/h list came out, courtesy David Barnett, including: The Hydrogen Sonata, Angelmaker, Ecko Rising, Red Country, Whispers Underground, London Falling, The Chosen Seed, Blackbirds, Brenda and Effie Forever!, and The Ward. 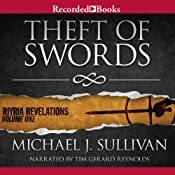 Update 3: Tor.com has a roundup of the top 3 books from several of their reviewers, including: The Drowning Girl by Caitlin R. Kiernan, 2312 by Kim Stanley Robinson, Railsea by China Mieville, Gods Without Men, Blueprints of the Afterlife, The Troupe by Robert Jackson Bennett, Shadow Ops: Control Point by Myke Cole, Existence by David Brin, Alif the Unseen by G. Willow Wilson, Kings of Morning by Paul Kearney, The Killing Moon and The Shadowed Sun by N.K. Jemisin, Sharps by K. J. Parker, Range of Ghosts by Elizabeth Bear, Amanda Downum’s Kingdoms of Dust, Max Gladstone’s Three Parts Dead, Shadow Show: All New Stories in Celebration of Ray Bradbury edited by Sam Weller and Mort Castle, Suddenly, A Knock at the Door by Etgar Keret, Crucible of Gold by Naomi Novik, Beyond Binary edited by Brit Mandelo, Wide Open by Deborah Coates, The Coldest War by Ian Tregillis, Between Two Fires by Christopher Buehlman, The Warlock’s Curse, by M.K. Hobson, The Hydrogen Sonata, The Dog Stars, Lois McMaster Bujold’s Captain Vorpatril’s Alliance, Yves Meynard’s Chrysanthe, Nina Kirikki Hoffman’s collection Permeable Borders, Cat Rambo’s Near + Far, Elizabeth Hand’s Errantry: Strange Stories, Kij Johnson’s At the Mouth of the River of Bees, Karin Tidbeck’s Jagannath, Tad Williams’s Dirty Streets of Heaven, Matthew Stover’s Caine’s Law, The King’s Blood by Daniel Abraham, David F. Dufty’s How to Build an Android, and Michael Moorcock’s essay collection London Peculiar.